Jon Spaiht’s screenplay Passengers, a science fiction romance about two people alone on a long space journey, had been around the traps for a decade having appeared on the Black List (an industry survey of the top unproduced screenplays) way back in 2007. But once they added two of the hottest stars on the planet in Jennifer Lawrence and Chris Pratt, and an Oscar nominated director in Morten Tyldum, coming off his success with The Imitation Game, it wasn’t going to stay unproduced for much longer. While the sci-fi films that dominate the box office and attract the most attention tend to be rollicking space adventures like Star Wars and Guardians of the Galaxy, at its heart science fiction is a genre about ideas. At its best, science fiction uses fantastic, unfamiliar scenarios to discuss relevant issues and relatable ideas. Up and coming Quebecois director Denis Villeneuve’s latest film, Arrival – based on Ted Chiang’s “The Story of Your Life” – uses the story of aliens arriving on Earth to explore notions of communication, memory and time. In a long career that has had its share of hits and misses, Ridley Scott has managed to consistently make one great film per decade. In the 1970s it was Alien. In the 1980s it was Blade Runner. He showed he was more than just a great science fiction director with Thelma & Louise in the 1990s and the swords and sandals epic Gladiator in the 2000s. 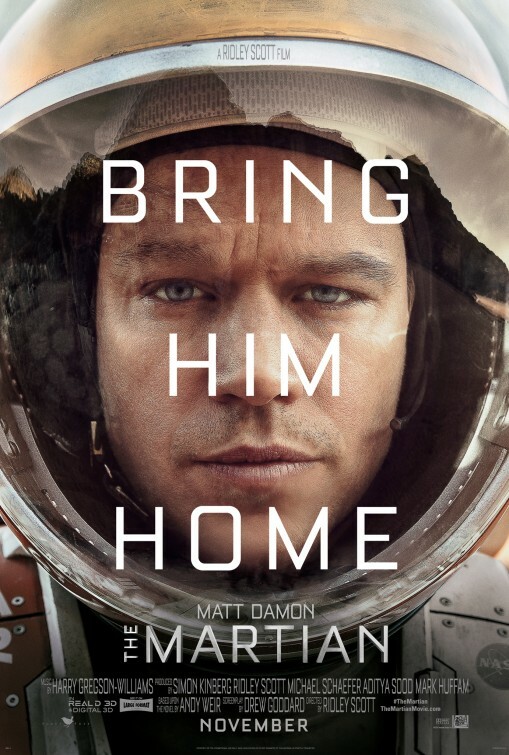 After a bit of a recent dry patch (Exodus: Gods and Kings, The Counsellor, Prometheus, Robin Hood), Scott has returned to form with a film which could well be his great offering of the 2010s, an adaptation of the Andy Weir novel, The Martian. And so it has arrived. Arguably the year’s most anticipated film, the film which had blockbuster lovers and serious cinephiles alike impatiently counting down: Christopher Nolan’s Interstellar. As the first step in Nolan’s post-Dark Knight Trilogy career Interstellar delivers exactly the sort of bold, ambitious and audacious filmmaking we have come to expect from this British director who has established himself as today’s premier large-canvas filmmaker. In the not too distant future a still very recognisable Earth is on the verge of being uninhabitable. Ravaged by dust storms and a major blight that has caused the death of most crops – the only thing that still grows is corn – making sure that there is enough food to keep people alive has become humanity’s first and only priority. Once a NASA pilot, Cooper is now a frustrated farmer, living in the Midwest with his son Tom and daughter Murph, but still maintaining the heart of an explorer. By this time NASA has become an underground organisation; at times like these the government cannot be seen to pour money into something as frivolous as space exploration. There Professor Brand is working on a plan to ensure the long term viability of humanity. While there are no other inhabitable planets in our galaxy, a wormhole has opened up near Saturn which has given them access to other stars and galaxies and twelve planets with potential have been identified. When an unusual occurrence lands Cooper on NASA’s doorstep, Brand invites him to pilot the exploratory mission. So, motivated by the chance of ensuring the survival of his children, Cooper joins the crew and sets off on a mission to save humanity. Interstellar takes us into the world of theoretical physics. The narrative is built around concepts of time and relativity. As the crew explore different planets of different masses, it impacts the relationship between their time and Earth time. In one instance, a three hour stopover to investigate a water covered planet ends up equating to 23 years on Earth, an occurrence which is emotively captured through the lifetime’s worth of video messages from home that await the team when they return to their ship. The film attempts to explain relativity in simple, visual terms in order to keep the audience on board, so you don’t have to be a physicist to understand what is going on. That said, Nolan has always been a filmmaker who prefers to trust his audience to keep up rather than over-explain things. Consider the reverse chronology of Memento or the multi-layered narrative of Inception. Likewise, here he trusts his audience to glean enough from the film’s many discussions of theoretical physics that they will be able to follow what is happening even if they don’t completely understand the concepts. California Institute of Technology physicist Kip Thorne, known for his work on traversable wormholes, was a script consultant for the Nolan brothers (Christopher’s brother Jonathan was co-writer) and receives an executive producer credit on the film. As such, Interstellar has been praised for the unprecedented accuracy of its depictions of black holes and wormholes. But even for those of us who are none the wiser on such matters, the visuals of these phenomena are still very striking. These impressive visual effects are complemented by the use of stunning location shooting for those scenes which take place on foreign planets. 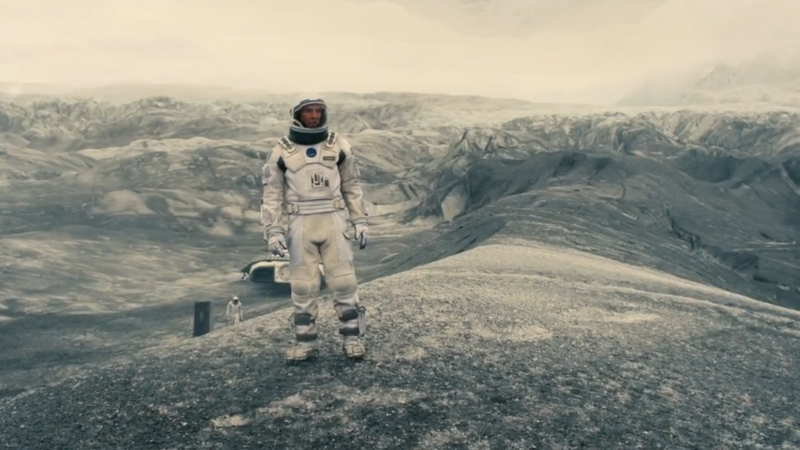 The result is that Interstellar is very much a big screen movie. Cooper (McConaughey) explores a potential colony site. Science fiction, particularly when you move away from the action-adventure end of the spectrum towards the more ideas-based narratives, is often accused of being cold and emotionless. Nolan has faced similar criticisms of his own filmmaking, that for all the spectacle and grandeur, the scope and scale, his films lack a beating human heart. In Interstellar the filmmaker seems to be searching for that balance, accompanying the theoretical physics which inform the story with an exploration of human themes of hope and sacrifice. Interstellar sets itself up as a very scientific film, in which people act pragmatically, but it then introduces emotion, love and the bonds between people as motivating forces which must be factored into this scientific equation. The film also contains more humour than we have previously seen in Nolan’s work, mostly courtesy of TARS, the artificial intelligence robot which accompanies the crew. However, in seeking to bring a human warmth to his film, Nolan arguably overcorrects and in the third act takes the film in an overly sentimental and fantastical direction. 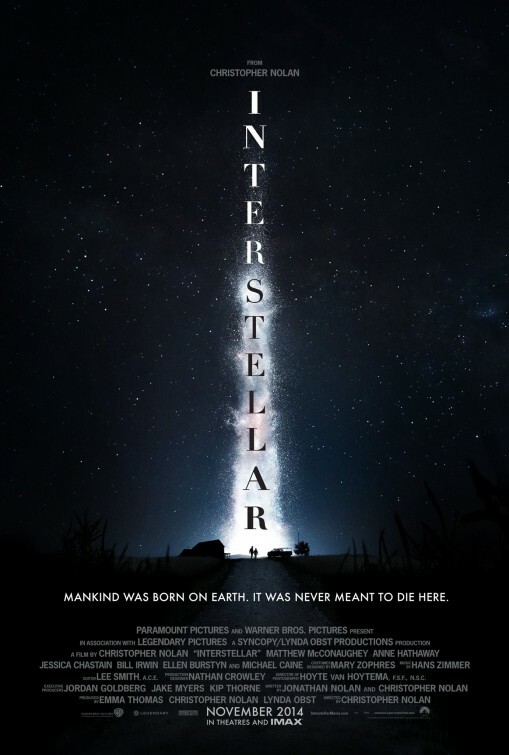 With a runtime of 169 minutes, Interstellar is a long movie. Christopher Nolan hasn’t made a film under two hours since Insomnia in 2002 – most have been around the 150 minute mark – so the length here shouldn’t be a surprise. Of course, length is not, in itself, a problem if a film can maintain your interest for that period of time. But while Interstellar is never slow and crams a lot into its runtime it still feels long and the multiple codas that make up the film’s last twenty minutes drag. At its best, Interstellar is very impressive indeed. It is hard to watch this film without thinking of Kubrick’s masterpiece 2001: A Space Odyssey. Given that film is one of Nolan’s favourites, the similarities are likely no accident. Unfortunately, Interstellar does not maintain that high standard for the entirety of its runtime. It is not always engrossing, despite an impressively deep cast some of the characters are thinly drawn, Hans Zimmer’s score (which has shades of Vangelis) at times overpowers the dialogue, and the film’s third act and coda will frustrate a lot of people. Interstellar contains some major cinematic achievements, but does not deserve to take its place in the science fiction pantheon. Have you seen Interstellar? Leave a comment and let us know what you thought.